WordPress can be easily used by a first time blogger making it one of the most usable of platforms. 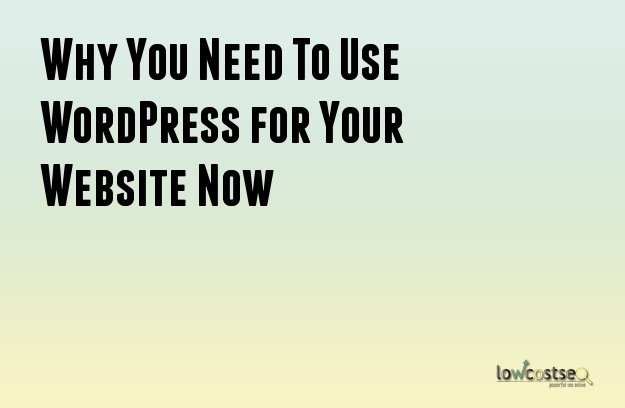 Very little coding is required for setting up a website in WordPress. In fact, it is possible to set up a WordPress page without any coding knowledge whatsoever. Users can post their blogs on a WordPress site with the minimum of hassle or fuss. Additionally, it is possible to create a website using the WordPress platform in a matter of minutes. Users can even customize their website completely in minutes. WordPress also allows users to have their own domain names. There are a huge number of design themes already available for websites in WordPress. You simply need to choose the theme and it will be applied to your website. It is possible to modify the themes to make your website look unique. A theme can be customized rather extensively in WordPress. At the same time, WordPress allows you access to a wide range of plugins that can enhance the functionalities of your website. Many of these plugins and themes are completely customizable. The range of options available in WordPress is so extensive and huge that you can actually get confused. Irrespective of the purpose of the blog, be it professional or personal, you are bound to get loads of options to make it look and feel unique. The number of options in WordPress is much more than other blogging platforms. Moreover, these options can be used to achieve much better results for your website in terms of aesthetics and functionalities. Those who are blogging for the first time may need support to help them get their questions and doubts clarified. The support system in WordPress is excellent. There is a strong and huge community of users in WordPress filled with knowledgeable people. They are often experts on certain topics. This makes it easier to get the help required and that too in a short period of time. The forums in WordPress may already have the answer to your questions. If they do not, you can always start up a new thread and let the users help you out. Search engine optimization is important if you want your blogs to reach a wider audience. With WordPress, even SEO is easy. You can optimize your website for the various search engines thoroughly as well as the readers. You can perform SEO on your website yourself without the need for detailed technical knowledge. The majority of websites being created nowadays, use WordPress. Thanks to the variety of options available for the platform, it is not always possible to even identify if the website is using WordPress at first glance.